Mexico:- Mexico is famous for its diverse and beautiful beaches. The Caribbean and Gulf shorelines have plenty of snorkeling hotspots and colorful reefs. Mexico has more than 6,000 miles of stunning coastline makes dream destination for every couple for wedding. Bahamas:- Bahamas has lots of islands that are very close to nature. The best beach amongst them is the Andros Island. The Abocos, Eleuthera Island, Nassau, The Grand Bahamas, The Out-Islands are also the top wedding locations in Bahamas. Kauai:- If you are looking for world’s most popular island for your wedding then Kauai is best option for you. One of the oldest islands in Hawaii and full with greenery make it dream destinations for couples. Kauai is one of the most recommended places for wedding. Caribbean:- Destination weddings can be unbelievably romantic if getting married on a beautiful beach with a fantastic view of the ocean in the background. The Caribbean offers some of the most spectacular sites for destination weddings. The top islands for wedding in Caribbean are St. Martin, St. Lucia, Turks and Caicos, the U.S. Virgin Islands, and the Cayman Islands. 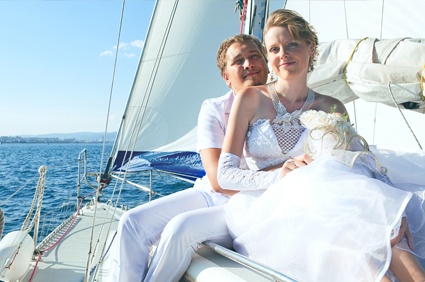 Jamaica:- Jamaica is one of the popular destinations for weddings in the world. It’s beautiful scenery and excellent climate makes it a popular honeymoon and wedding location. Thousand’s of couples coming here every year for destination wedding. Las Vegas:- And if you are looking for a wedding destination that is romantic as well as entertaining and happening then there is no other best option than Las Vegas. Costa Rica:- Costa Rica is a popular choice for North Americans who decide for a destination wedding. This small Central American country offers U.S. and Canadian couples beautiful natural settings, low prices, safe environments, and friendly locals who are glad to help them with their very special day. Bermuda:- Bermuda is a true paradise on earth. It is one of the most beautiful islands in the world. With huge greenery gardens, pink sand beaches, and unique coral reefs.